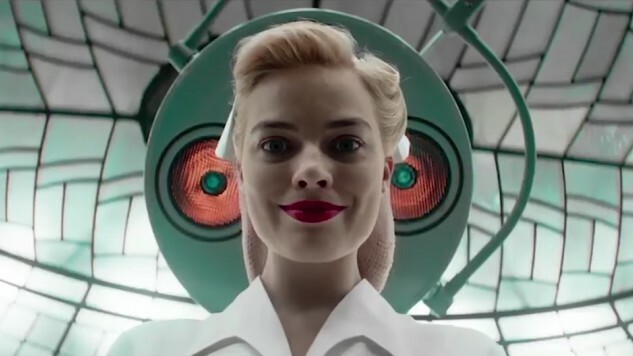 “Revenge never looked so good” as Academy Award nominee Margot Robbie teams up with Simon Pegg to do something that obviously conflicts with Max Irons and his group, who are sent to kill someone. The trailer leaves does a great job of giving enough information to take us in, while not oversharing the entire story so that we feel like we’ve already seen it. From what we can tell, Robbie seems to be in control of the situation and everyone else just seems to be almost clueless. She gives off a real old-school, femme fatale vibe. We also get a glimpse at Mike Myers playing someone other than Austin Powers in the trailer, which is actually very exciting. The film is from first-time feature-length writer/director Vaughn Stein, who has worked as second and third assistant director on many different projects, including The Danish Girl, In the Heart of the Sea and the TV show Elementary. Robbie is producing the project alongside I, Tonya producer Tod Ackerley, David Barron of multiple Harry Potter films, Arianne Fraser, Molly Hassell, Teun Hilte and Josey McNamara. Robbie gave us a little sneak peak at the new trailer in an Instagram post on Wednesday night, included beneath the full trailer below. Follow Ms. Robbie down the rabbit hole on May 11. Something different for you… #TerminalMovie ??????? ?